Sharp is reported to will begin manufacturing LCD panels for the iPhone 5S beginning in June at its Kameyama Plant No. 1 in Japan. The recent report comes straight from Japanese newspaper Nikkan Kogyo Shimbun. Among Apple's primary display partners there are Japan Display and LG Display as well, with the previous WSJ reports claiming that Cupertino Company has already sent orders to. 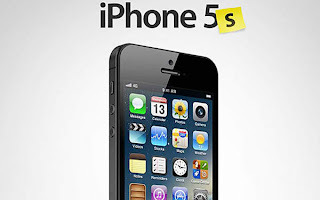 However, the same report suggested the iPhone 5S production would begin in the second quarter this year. The mass production is claimed to already be underway by both display partners - Japan Display and LG Display. as detailed by reliable KGI Securities analyst Ming-Chi Kuo in April, Apple has faced production challenges that caused the delay of iPhone 5S production, suggested to ramp up in March to facilitate a summer release. Kuo reported that the work on the fingerprint sensor that is rumored to be included with the iPhone 5S has caused postponements, resulting in a later-than-expected launch date for the end customers. While there is no specific fall release date for the iPhone 5S, three different scenarios involving a launch between September and November are outlined in several reports. With the CEO Tim Cook also hinting at an autumn release of the iPhone 5S during Apple's second quarter financial results call; it seems the company has a number of surprises coming during the fall and beyond.